Admittedly this blog has gone a bit quite but I’m still tinkering with ideas for the Vec-Cab. The practical build is soon coming to an end; there have been some delays because I have had some parts produced by CNC. Soon these parts will be completed and I can then integrate all together and take some photos. 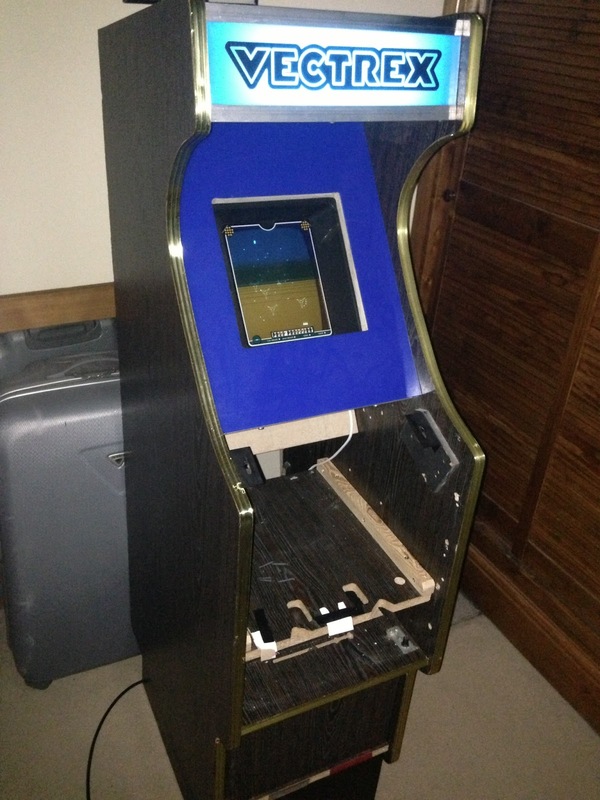 I will then be able to play the Vectrex in its new cabinet. But I don't want to stop there. 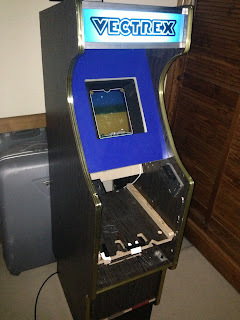 I'm going to do some hardware and software development so that it will be a proper arcade cabinet. E.g. you need to put coins in to play a game. In addition I want to add an external amplifier and connect to the sound signal from the Vectrex PCB. Plus I want to integrate the VecVox and my Autofire dongle electronics. The diagram below shows the initial concept I have in mind. To change the game cartridge it will not be pratical to do it at the slot on the right of the Vectrex due to lack of space when the Vectrex is in the arcade cabinet. What I am going to do is run some ribbon cable from the slot to a slot connector mounted in a box underneath the Vectrex. This box will be accessible when opening the arcade cabinet coin door and therefore allow for more convenient changing of the games cartrdige. In addition this box will house the VecVox and AutoFire electronics. All cables from the Vectrex and peripherals such as the coin detector and the control panel will mate with connectors mounted on the box. This should allow a tidy implementation and easy change of parts. As I said this is just a concept but future diagrams will be more complete and will show the exact wiring details.